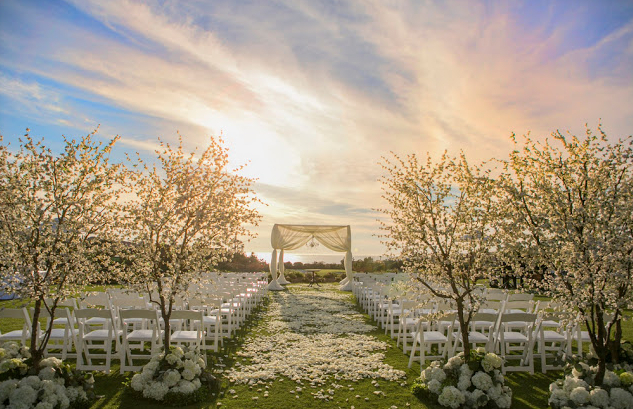 St. Regis Monarch Beach Resort Wedding Venues Located along the pristine shores of the Pacific Ocean in Dana Point, California, Monarch Beach Resort was featured as one of the "Top 25 Hotel Spas in the World", as voted by Travel & Leisure Magazine. 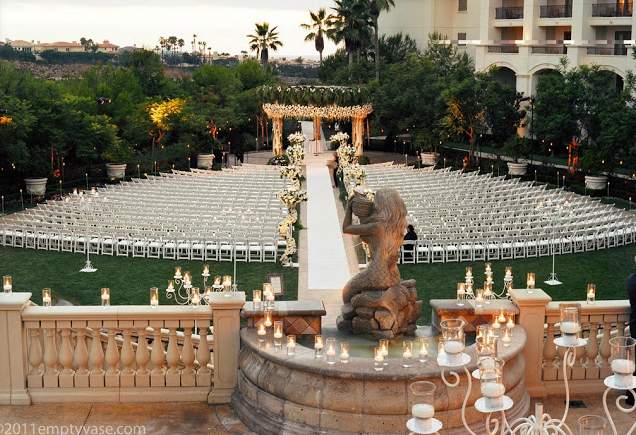 Weddings at Monarch Beach are celebrations beyond expectation. Every detail is attended to with care; every moment is a cherished memory in the making. Whether you desire a discreet gathering or plan to host 800 of your closest friends, Monarch offers captivating wedding sites for every occasion. Imagine exchanging your vows in the signature Grand Lawn, overlooking the ocean pool and offers views of the Pacific Ocean. The 12,000-square-foot Pacific Ballroom features coffered ceilings, bronze chandeliers, and frescoed pastoral scenes. Meanwhile, Club 19 showcases an outdoor terrace with views of the ocean and the beautifully manicured golf course. 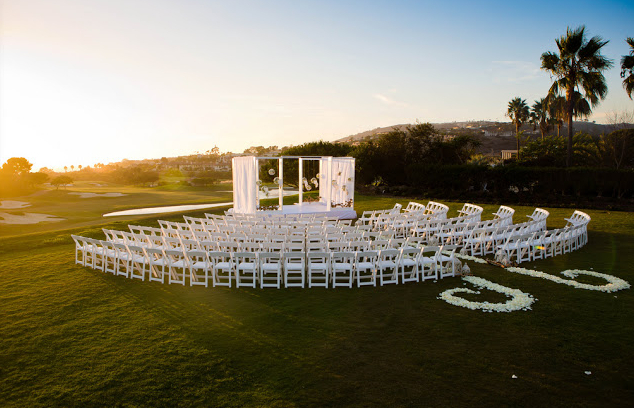 From personalized menus to impeccable service, a seasoned Monarch Beach Resort specialist stands ready to ensure your most precious day is also your most memorable.